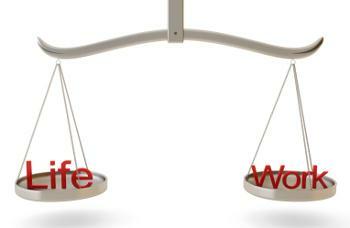 There’s only so much an organization can do to help em­­ployees with their work/life balance. Some of it has to be up to them. Your organization can allow flexibility in how the work gets done, but in the end, it’s up to each individual employee to figure out how to use that flexibility. As flextime and flex-place have taken hold in organi­zations, employees are more responsible—not less—for thoughtfully and deliberately putting up boundaries between work and the other parts of their lives. They have to determine for themselves how their wellness, personal relationships, personal lives, finances, job skills, networking and the other pieces of their days and their lives fit into or around their work time.